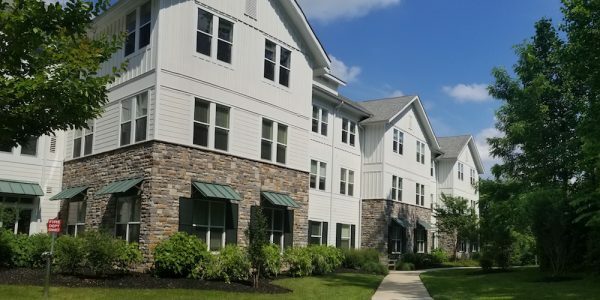 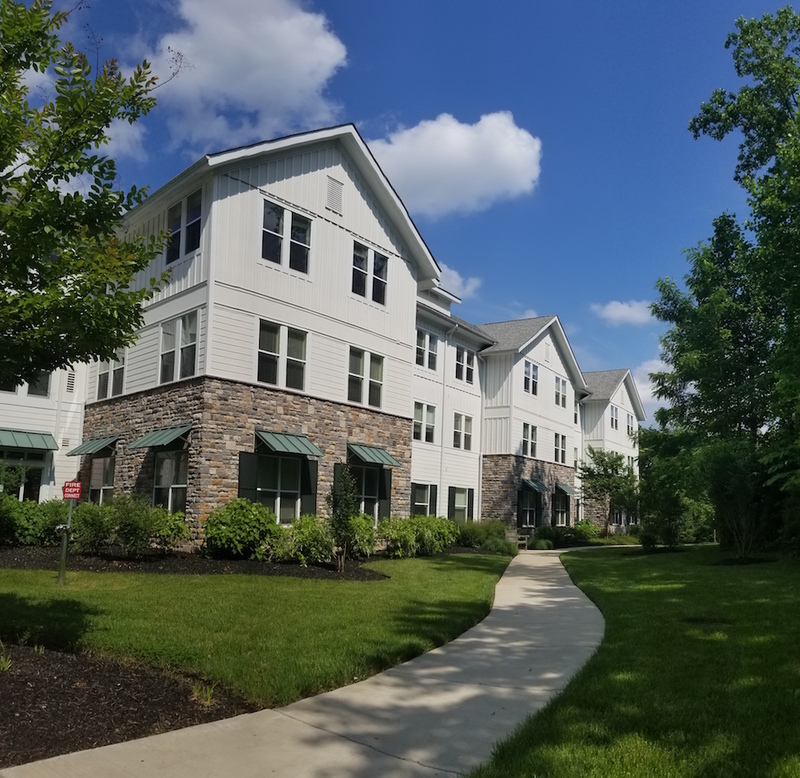 Shelbourne-Olney is a Senior Assisted Living Facility with one floor devoted specially for the care of Alzheimer’s patients. 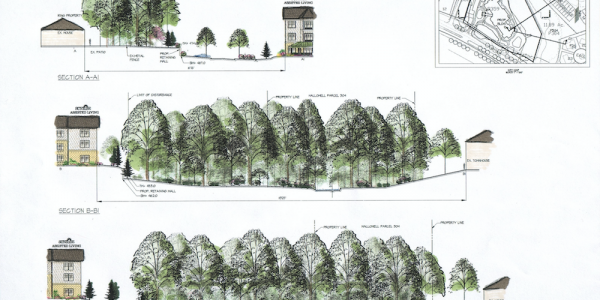 The property was almost entirely forested with many large, mature trees and a vital stream and associated floodplain/buffer. 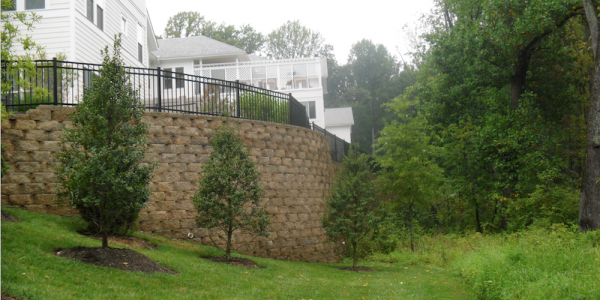 The property lies within the Hawing River Watershed which required special treatment because it flows directly into the Patuxent River Watershed. 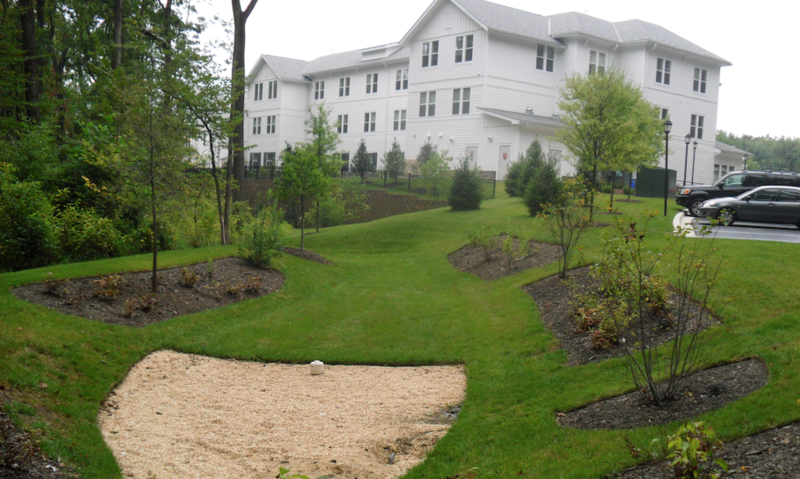 An important goal of the development was to preserve the existing mature forest, specimen trees, and stream buffers while providing a quiet, wooded setting appropriate for seniors, particularly the Alzheimer’s patients. 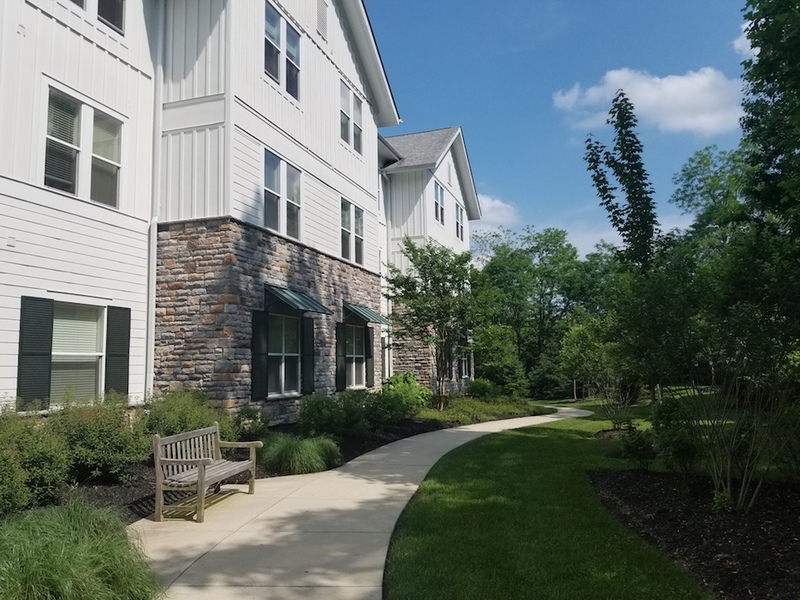 Additionally, our client wanted LEED® certification for the project which required high standards of environmental conservation and green construction. 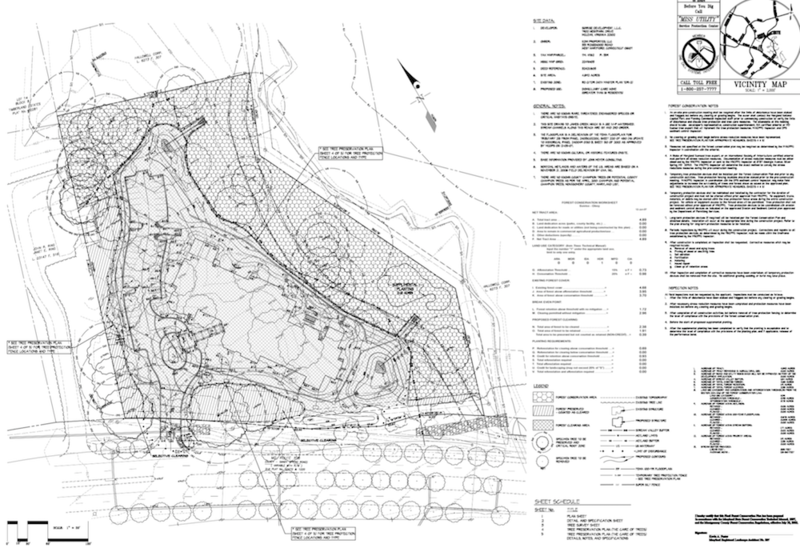 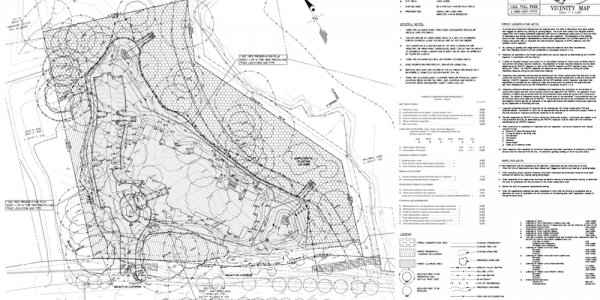 Site grading, buildings, driveways, and stormwater management facilities were designed to avoid impacting surrounding specimen trees, wetland and stream valley buffers. 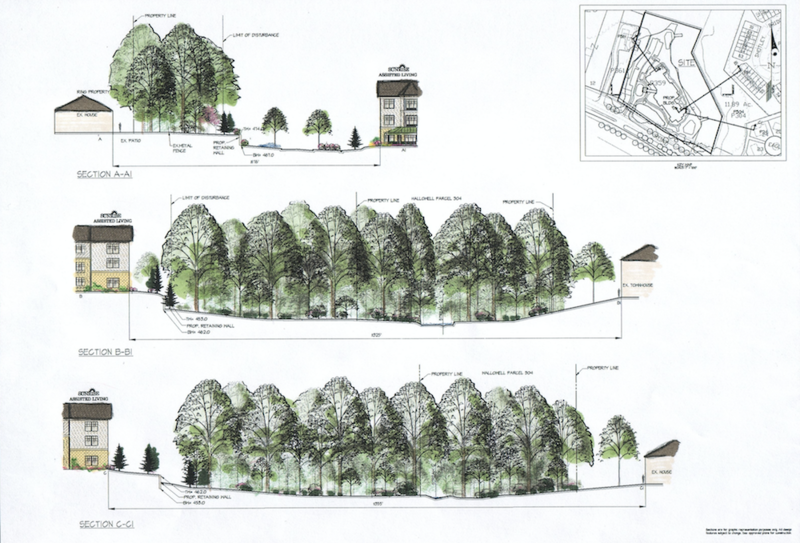 The entrance road alignment and grading saved two massive trees, a White Oak and Ash, which served to screen the building from nearby road traffic and to emphasize the forest setting. 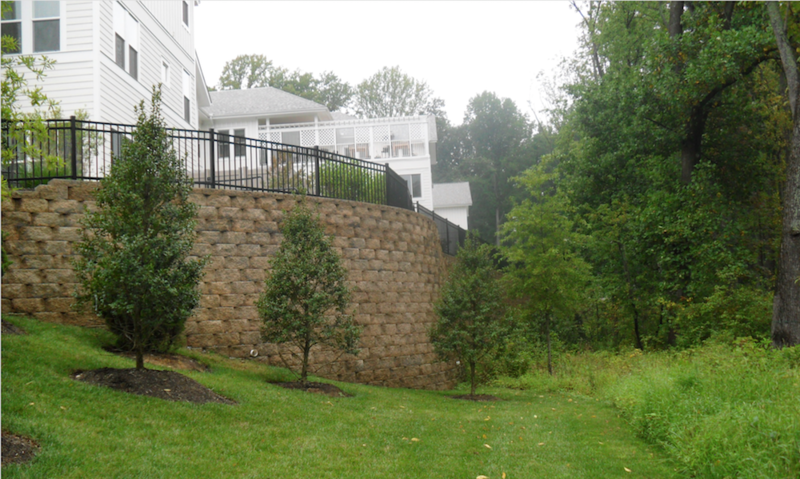 The rear of the building faced a mature forest requiring a retaining wall up to 13’ high to create a terrace for an Alzheimer’s garden with a wide open view out over the wall. 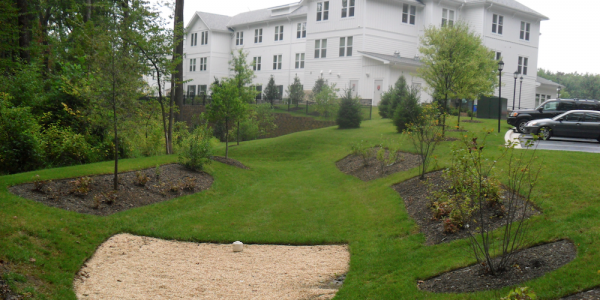 The garden was planted with distinctive, colorful plants intended to stimulate the mind and create a memorable experience. 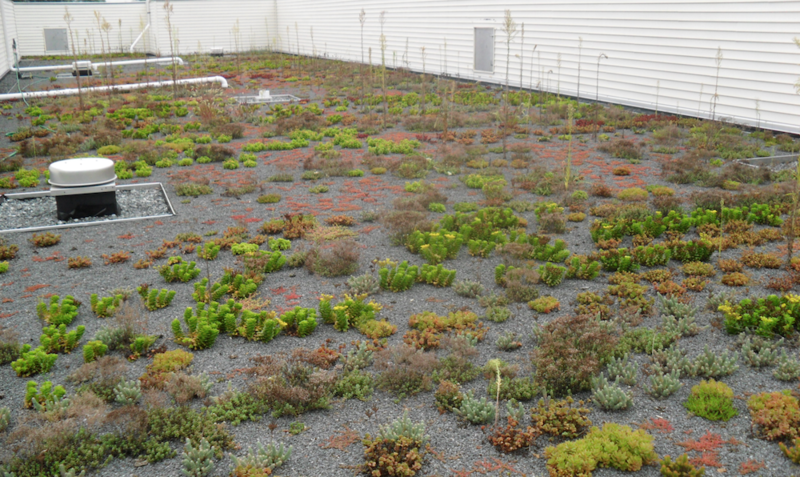 To gain LEED® certification the structure was built with a green roof that covers more than 50% of the roof area. 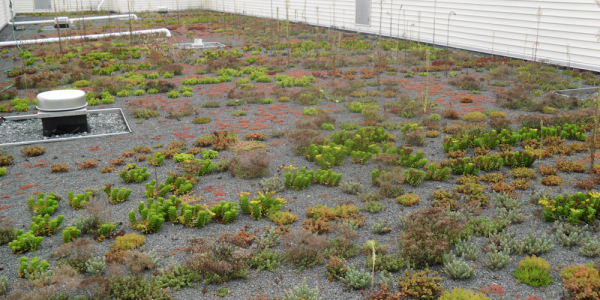 The green roof was designed with a rubber membrane below a soil layer planted with succulent plants that are able to retain water in especially dry conditions. 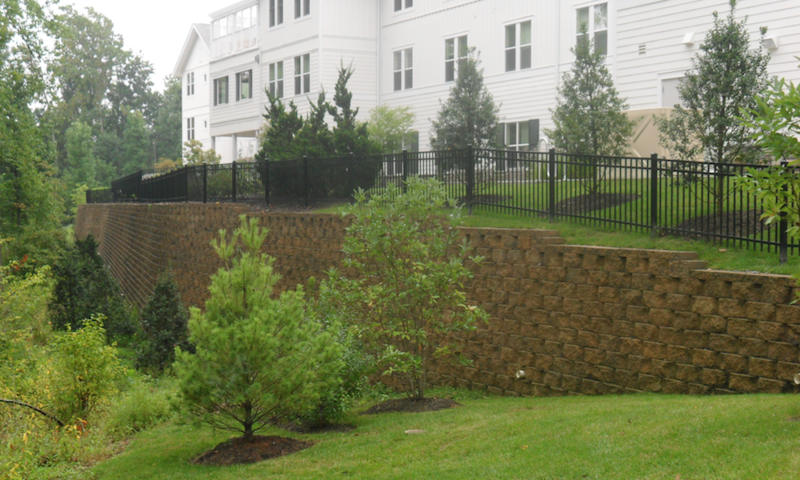 All downspout and parking lot runoff is piped to bio-retention facilities so that no net additional untreated drainage leaves the developed area. 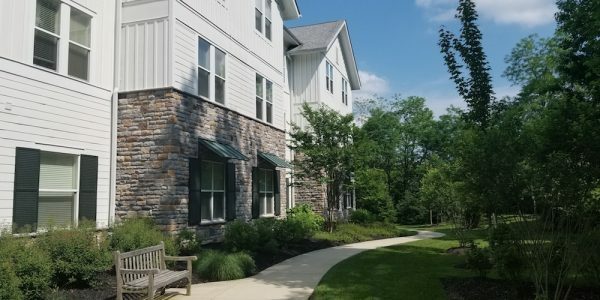 A path runs around the building along the woodland edge and past ornamental landscaped areas provides an attractive route for seniors to exercise. 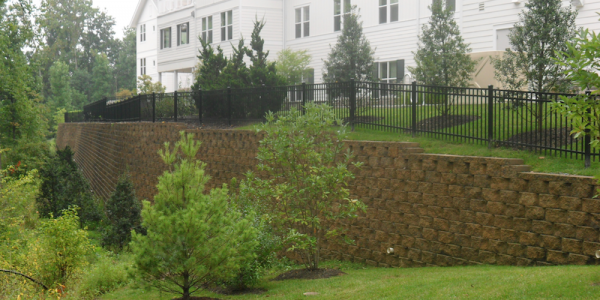 Other stormwater facilities including grass channels, sand filters and micro-bioretention ponds were located and landscaped to minimize their visual impact.